WARRENVILLE, Ill.--(April 11, 2007)--With more than $14 billion in retail sales and more than 370,000 annual unit shipments last year, the RV industry was a large and virtually untapped market for International Truck and Engine Corporation ��� until now. International, a Navistar company, is partnering with Conquest Motorhomes, a division of Gulf Stream Coach and one of the RV industry���s leading manufacturers, to make International the exclusive cab and chassis provider for all of its Class C diesel motorhomes. Gulf Stream���s initial order for 625 International�� DuraStar�Ѣ chassis underscores the significance of the market opportunity, with the relationship projected to expand over time. This deal was a direct result of close collaboration between International and Workhorse Custom Chassis, as International sought support and guidance in penetrating the RV industry. 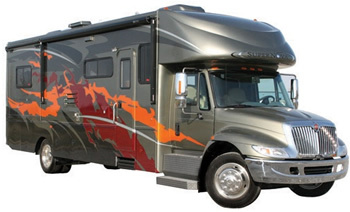 The International chassis is available on Gulf Stream Coach���s Super Nova and Gladiator (Enduramax) models. ���When a leader in the commercial truck industry collaborates with a leader in the RV industry to build a great product, RV customers are going to be the big winners,��� said Jim Johnson, Vice President of Operations, Conquest Motorhome Division, Gulf Stream Coach. ���Moreover, our industry is coming into its sweet spot for growth as population and demographic trends favor long-term RV market growth. 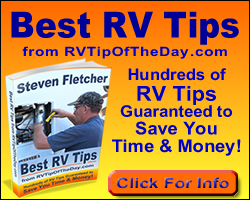 Buyers aged 35-54 are the largest and fastest growing segment of RV owners. Every day, 11,000 Americans turn 50. This is a huge plus for International, because the International nameplate is viewed very favorably by that demographic,��� said Johnson. The Conquest Motorhome division also pioneered the General Motors Kodiak five years ago when it created the ���Super C��� segment of the class C market. The Class 6 International chassis was chosen because of its superior engineering, and innovative electronics features such as the International�� Diamond Logic�� Electrical System and AWARE�Ѣ Vehicle Intelligence, as well as an unmatched service and parts network. International will begin full-scale production in June 2007. Over 125 have been built so far, to the satisfaction of many RV customers. * Best-in-class towing capability of up to 13,000 lbs. These attributes help position International miles ahead of other truck manufacturers in the RV industry. A demonstrator model was featured in Gulf Stream���s booth space at the RVIA tradeshow November 28-30 in Louisville, Ky., and drew rave reviews from attendees. The new model will also be on display at RV shows in Hershey, Pa., and Pomona, Calif.
Conquest Motorhomes is a division of Gulf Stream Coach based in Nappanee, Ind. Gulf Stream has additional facilities in Goshen and Etna Green, Ind. and is the largest privately held full-line recreational vehicle manufacturer, offering 26 brands and more than 100 models, while employing over 1,500 men and women in Elkhart County. Visit www.ConquestMotorhomes.com for more company information. The operating company of Navistar International Corporation (OTC:NAVZ), International Truck and Engine is a leading producer of medium trucks and heavy trucks for various markets including over-the-road, pickup and delivery, construction, utility and governments. Based in Warrenville, Ill., International offers its products, parts and services through a network of nearly 1,000 dealer outlets North America and from more than 60 dealers in 90 countries throughout the world. Additional information is available at www.InternationalTrucks.com.